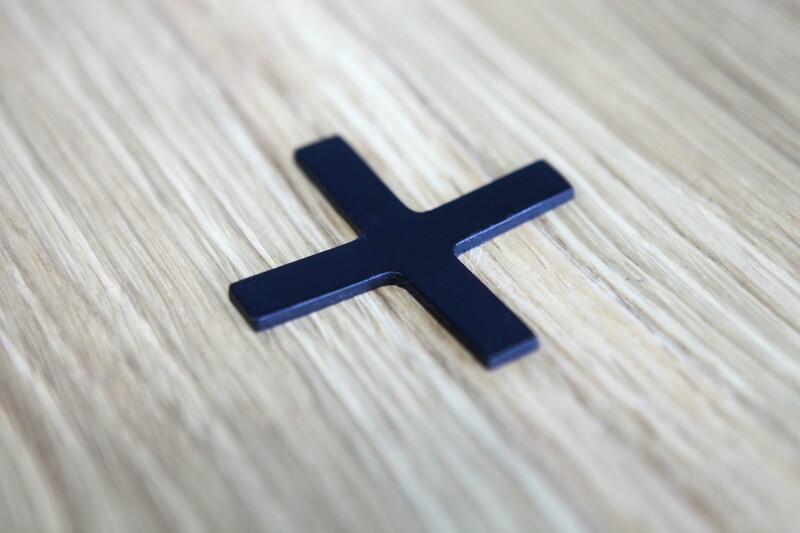 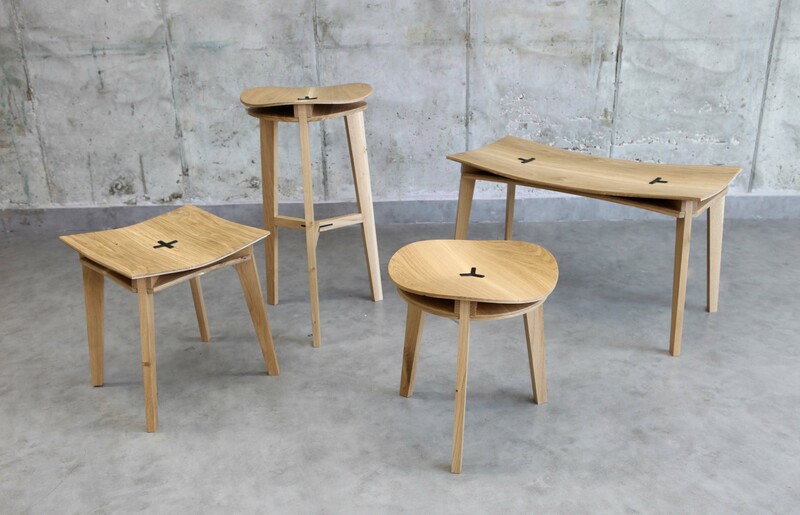 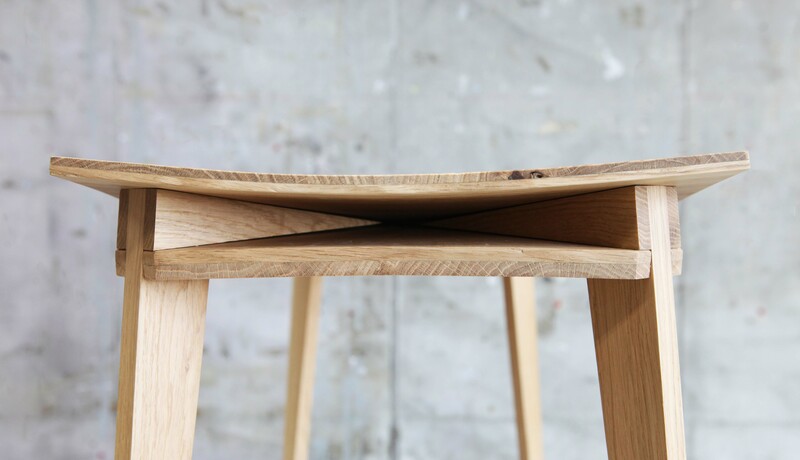 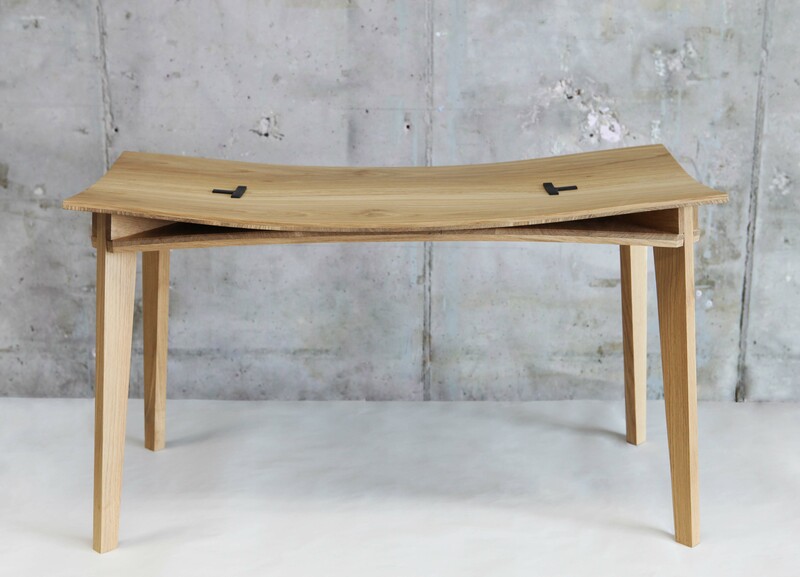 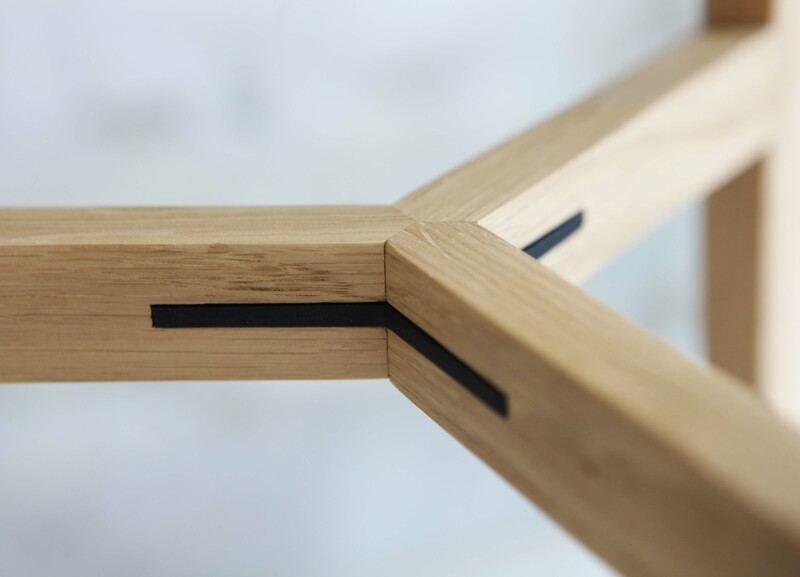 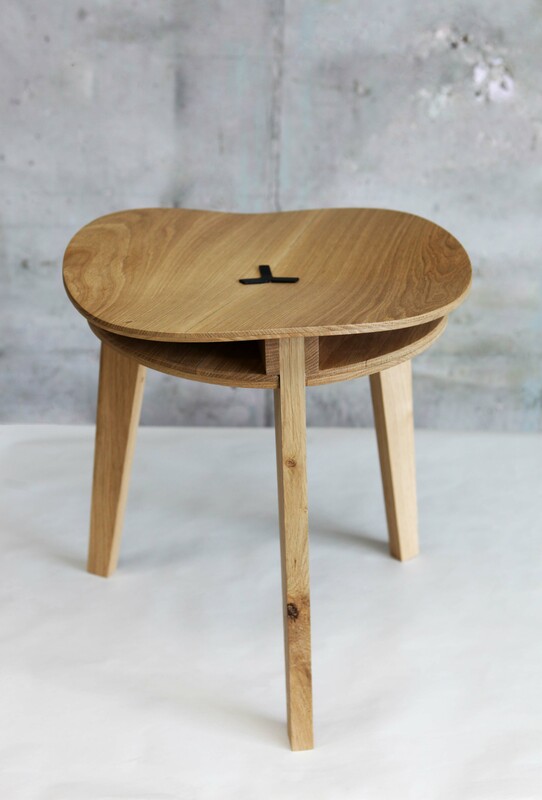 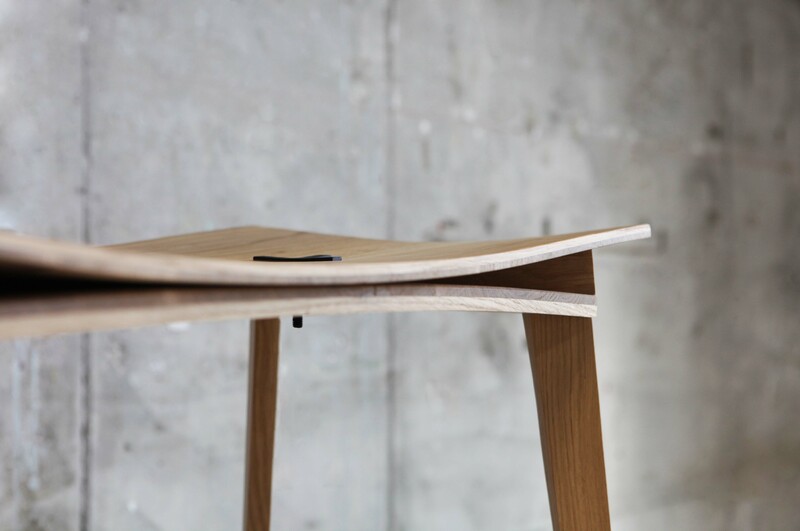 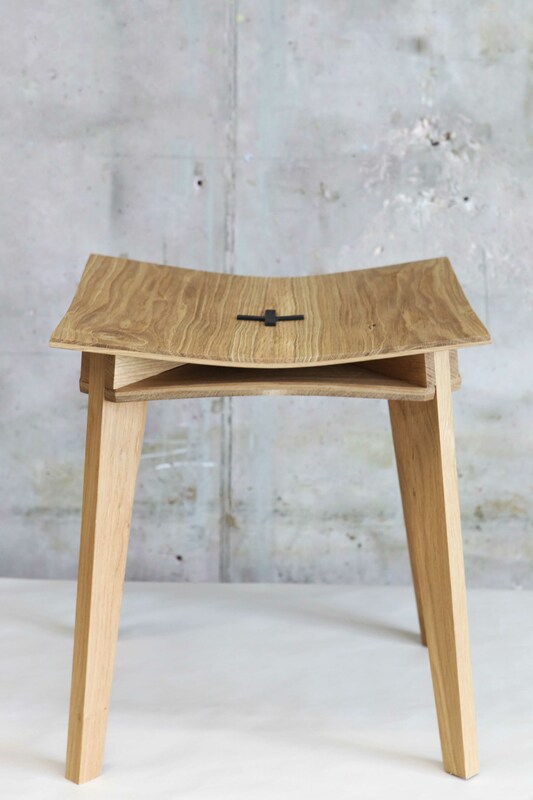 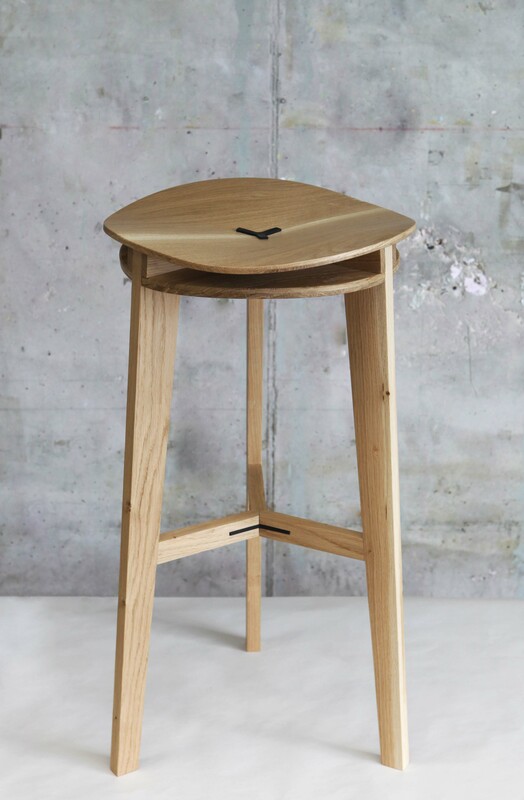 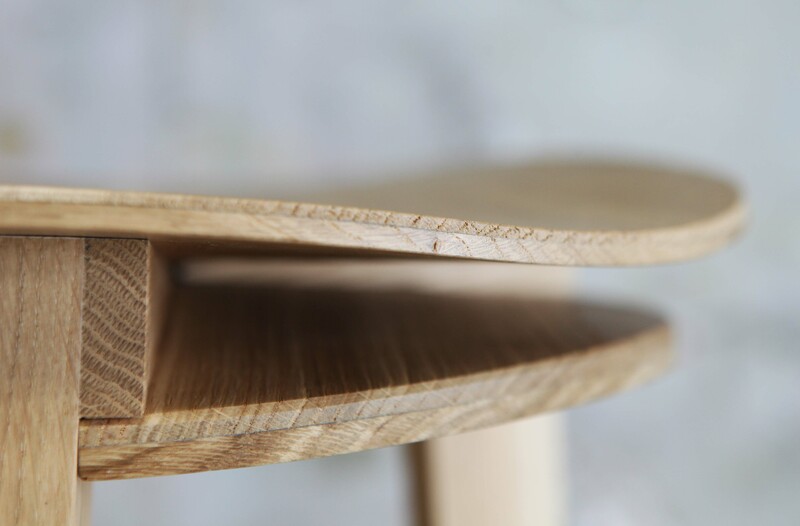 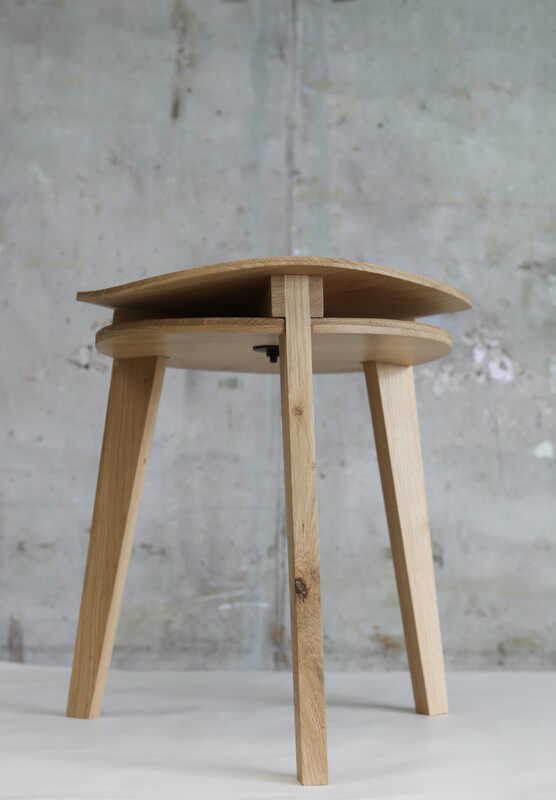 A series of stools that are built by the principle of a splitting wedge. 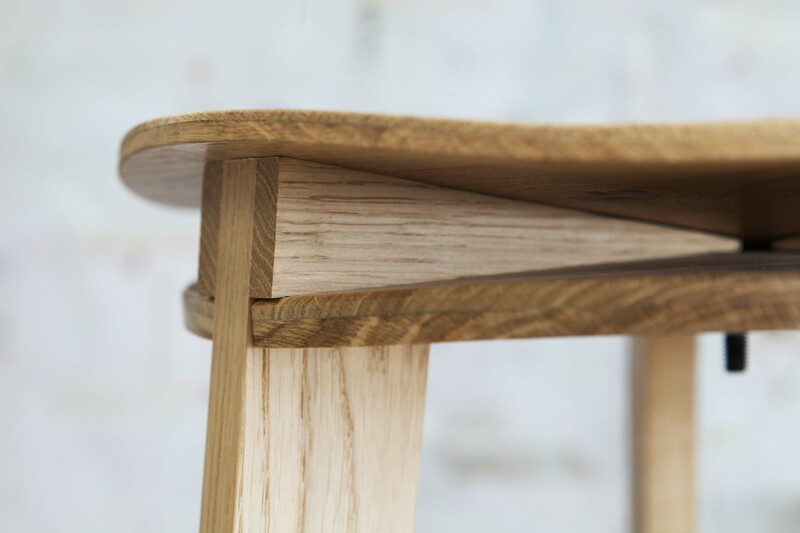 The bendy seat is the result of the inserting wedge. 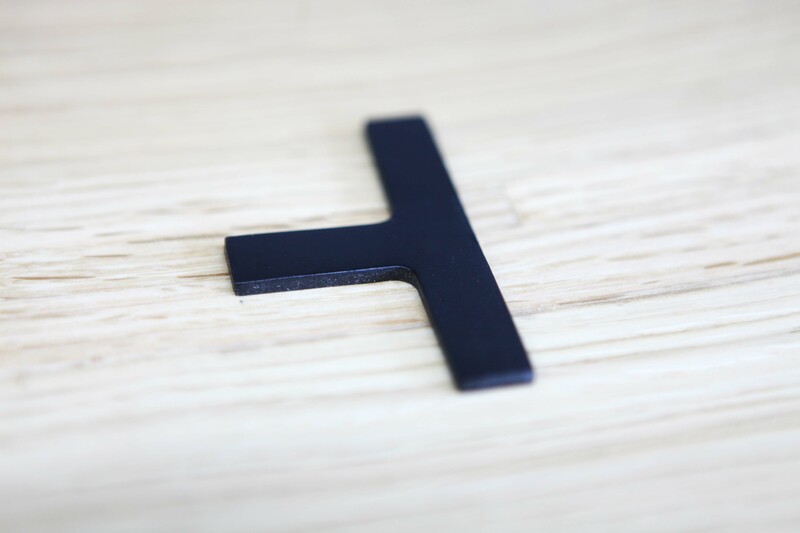 There is no use of water in the process.